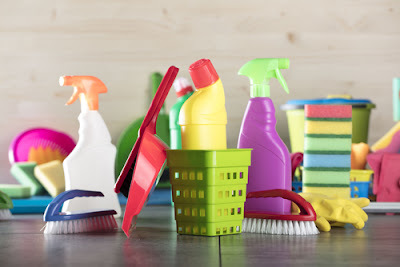 During spring cleaning, most people will pull all the stops to make sure that their homes are spotless clean. After all, this is a time to get rid of toughened stains and clean the often neglected areas around the home. However, a few thoughtful moves can help make spring cleaning more successful. 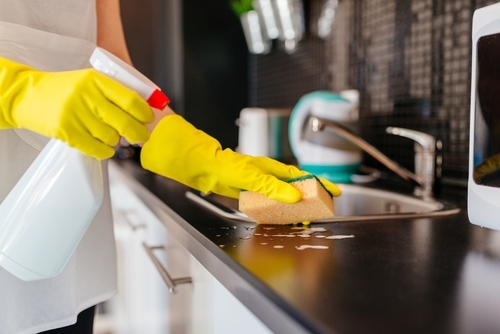 Raw physical effort will certainly get you somewhere, but these smart spring cleaning tips will help speed up the process and make it more successful. Remember that some of the dirt you are trying to remove from your home during the spring was accumulated over several months. Therefore, don’t expect to clean it off in a single day. Keep in mind that the aim of spring cleaning is to do a thorough job. So, even if you manage to do a single room in a day, that should be adequate as long as you don't compromise the cleaning results. Rushing things in order to clean up the entire house in a day will fall short of the cleaning results a spring cleaning endeavor should achieve. It’s just cleaning, right? So, why is a plan necessary? For one, because this is spring cleaning, and things can get pretty complicated. For instance, you might need tools you never use during regular cleaning. You should also decide where to begin the cleaning, and how much time you should dedicate to the process in consideration of the workload ahead of you. A plan will also ensure that you don’t forget to clean some important areas and things like ceilings, light fixtures, and cabinets. Unwanted things have a way of looking out of place, and making the places where they are dumped get ignored during regular cleaning. These things should be kept out of the way even before the cleaning starts. For instance, there is no need for a broken chair to take up space on your balcony, or for torn shoes you don't intend to ever use again to be in your closet. Just by getting rid of such things, your home will look a bit cleaner. Souvenirs that have outlived their appeal should also be kept out of the way during a spring cleaning. If some things or areas need fixing, then the spring cleaning season offers a perfect opportunity to get this done. You should not be above hiring a professional if necessary. Even if you do a very impressive and deep clean, you will find it unsatisfying when you know that there are some broken things around the home that could have been fixed before the clean up. Not every stain-based cleaning challenge can be solved with a brush and soapy water. And even it it can, there are probably better ways to get this done. Being in the internet age, access to information about the best approaches to cleaning various things and areas around the house should be easy. For instance, the scum in your bathtub will respond better to water, vinegar, and lemon juice. Such information can save you time and help you get better cleaning results. This simple trick should help you avoid the hustle of having to clean some things or areas twice. For instance, if you clean the floors and then clean the ceilings, you will end up having to clean the floors a second time. Similarly, if you clean your refrigerator on the outside before working on the racks inside, you will end up having to clean the outside a second time. So, make sure you use this simple trick to avoid having to do the same job twice. Getting spotless clean windows can be quite challenge, especially when you try to clean them in sunny weather. The sun usually starts to dry up the soapy water before you have a chance to wipe it off. In cloudy weather, you will have more time to wipe off any excess cleaning liquid and leave the windows spotless clean. It you are going to dust the windows and not clean them, then do it in sunny weather. That is because the sun makes the dust particles easier to spot. Typically, after a thorough washing, your windows will just need a little dusting here and there. Spring cleaning takes time. Therefore, finding ways to reduce the amount of time you spend on this activity should be a welcome proposition. One way to do this is to multi-task. For instance while the dishwasher is going through its yearly deep cleaning cycle, you can work on the grime that has settled on your cabinets. One of the most satisfying time to redecorate or change up your home’s interior décor is during the spring cleaning. So, if you had any ideas about changing your home's design, have them handy as you do your spring cleaning. The impact will be more fulfilling that way. Making a dash to the hardware store in the middle of a clean up after realizing you lack an important cleaning tool is not going to make your spring cleaning as fulfilling as it should be. So, before the cleaning starts, make sure you have all the tools; and in adequate quantities. Some of these implements include bleach, old toothbrushes, polish, towels, rubber gloves, anti-bacterial spray, sponges, brushes, buckets, and so forth. 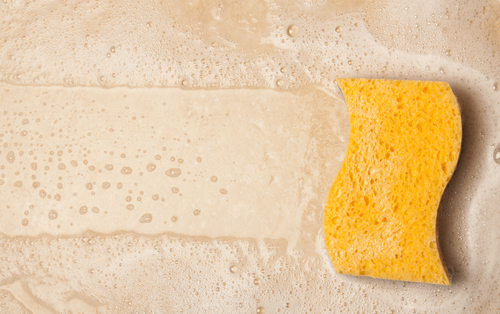 Spring cleaning will usually require an extra pair of hands. You can even have a friend help you out so that you also help out when you are done with your home. Moving hefty pieces of furniture such as cabinets to get to the dust beneath is easier and safer when you have someone helping you out. Your kids can also pitch in, as well as the occasional friend who drops by to say hello. Besides, the team work does help build morale and make the cleaning go at a much faster pace; or at least more enjoyable. Nothing should be left out during the spring cleaning frenzy; not even the tools used to get the job done. So, the washing machine, the dishwasher, the vacuum cleaner and other cleaning tools should also get a thorough cleaning by the end of this process. As a matter of fact, many of these things should get cleaned twice - before the cleaning begins, and after it ends. Clean tools offer better quality performance when the cleaning finally starts. So, the filters and the brushes on the vacuum cleaner should be as new to ensure that the equipment can take on the especially difficult cleaning task that lies ahead. Spring cleaning is hard enough. Therefore, a few measures can make the process a lot easier, if not much faster. With the tips above, your spring cleaning chores should be a lot easier this time round.